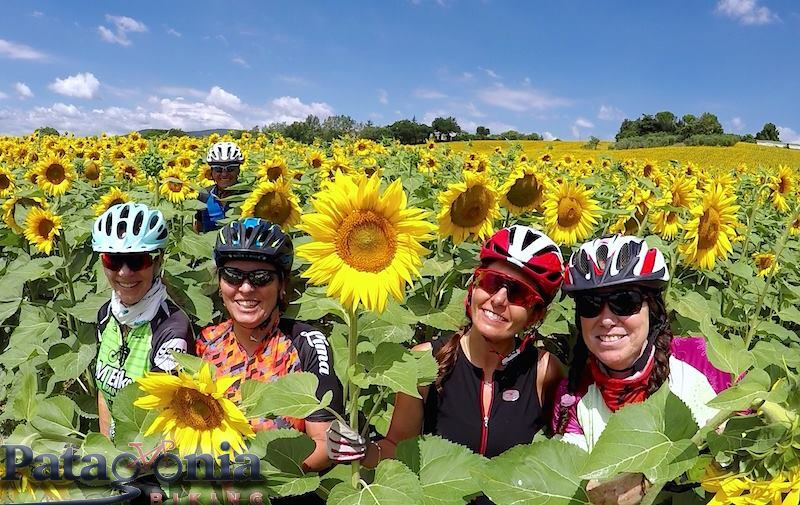 Pedaling in the Nature, by ways and footpaths, uniting towns of medieval origin in a unique and suggestive itinerary, that crosses: le Marche, l’Umbria, il Lazio and Tuscany. A connection from sea to sea through history, art and spirituality, passing through unique places, with a lot of tradition and people known all over the world. Without support vehicle. 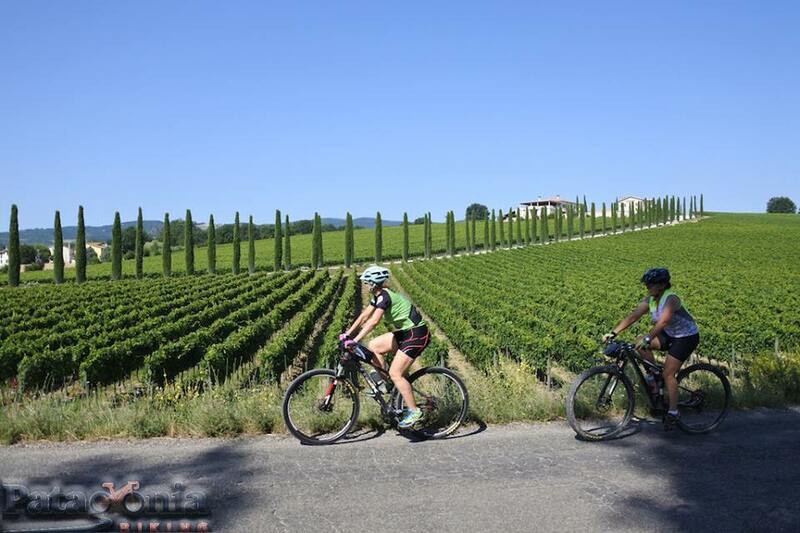 Each cyclist, will transport their clothes and personal items in small bootes or backpacks. The good temperature, allows cyclists, can take very light shelter elements and the load weight is minimal. 10 accommodations (very good standard), breakfast and 6 dinners. 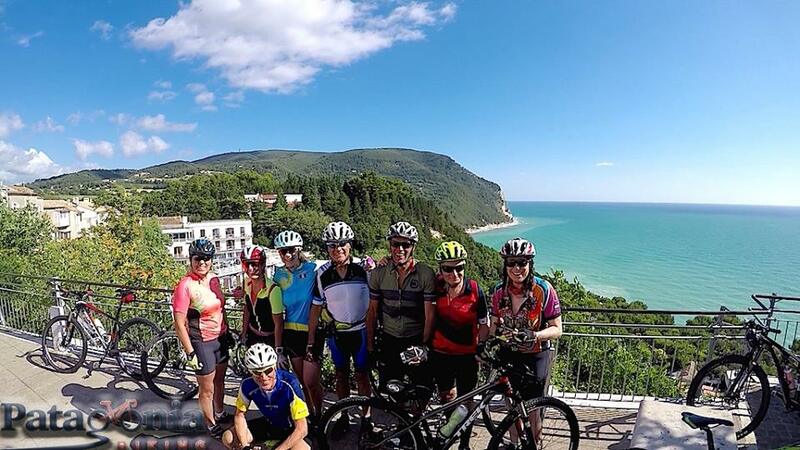 Meeting at the Sirolo hotel near the city of Ancona. 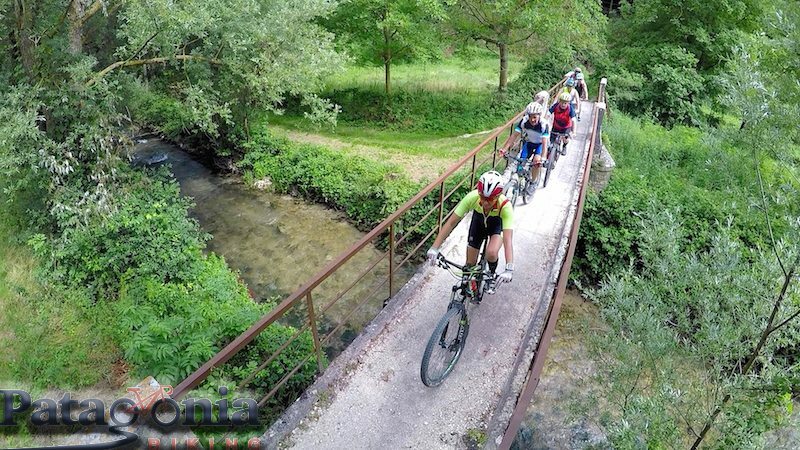 We will try the bicycles and we will take advantage to enjoy the beaches of “La Perla del Adiatrico”. 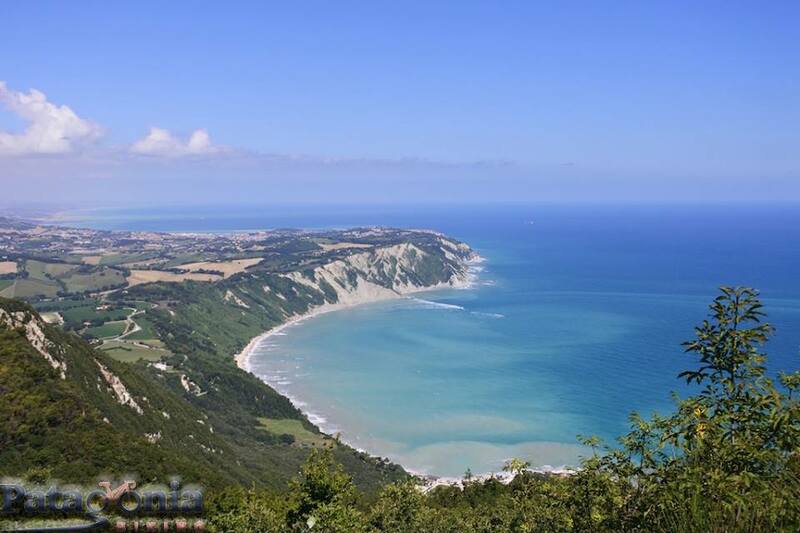 we will ascend to Monte Conero (570msnm), from where we will have a spectacular panorama and descend through paths in the forest. Pedaling: 60 km. Level difference: +1000. 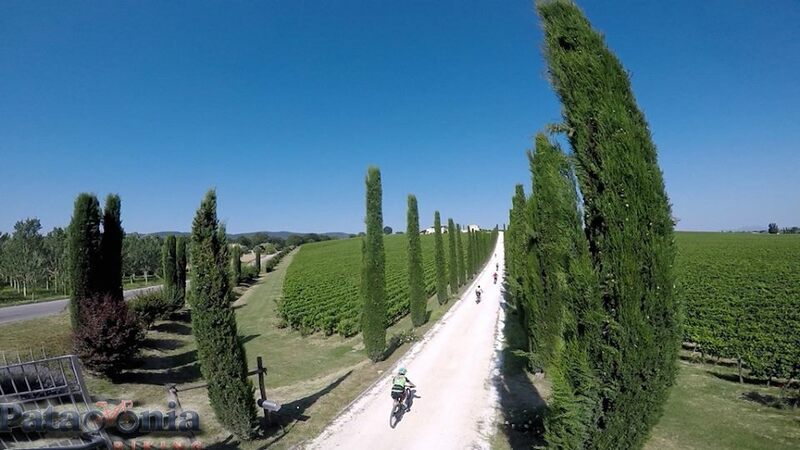 Accommodation: Agriturismo (with pool), passing Filottrano. Stage for the campaign, alternating narrow roads, asphalt and dirt, with constant ups and downs. Pedaling: 45 km. Level difference: + 1050. 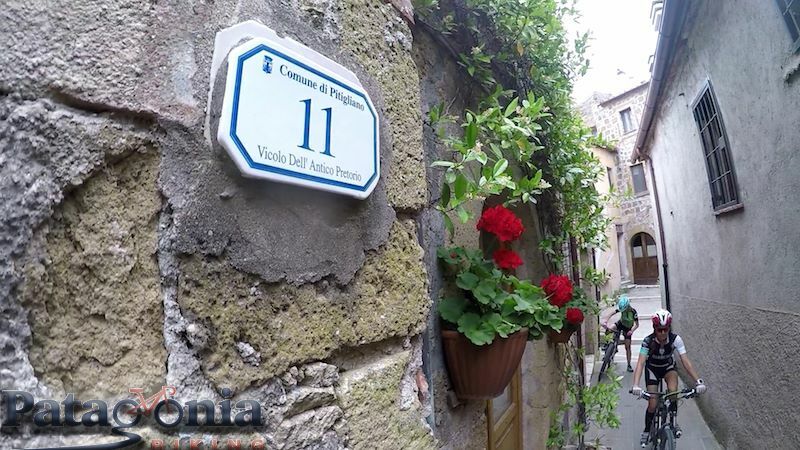 Accommodation: Agriturismo, close to the village tower. Pedaling: 40 km. Level difference: +1100. Accommodation: An agriturismo (with swimming pool), passing Pioraco. 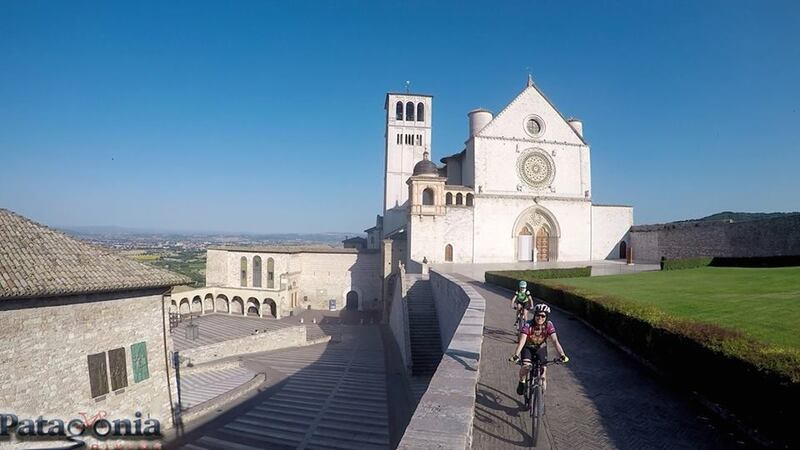 We will cross two hills of the Apennines, making two long climbs (12 km), passing through forest areas and meadows, until reaching the famous Assisi. Pedaling: 50 km. Level difference: +1250. Accommodation: Hotel in the center of the city. 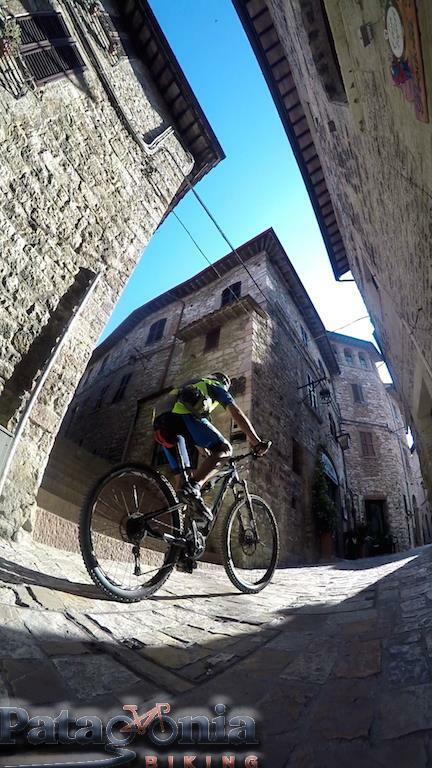 Places: Cannara, Bevagna, Gualdo Cattaneo, Todi. Pedaling: 63 km. Level difference: +1350. 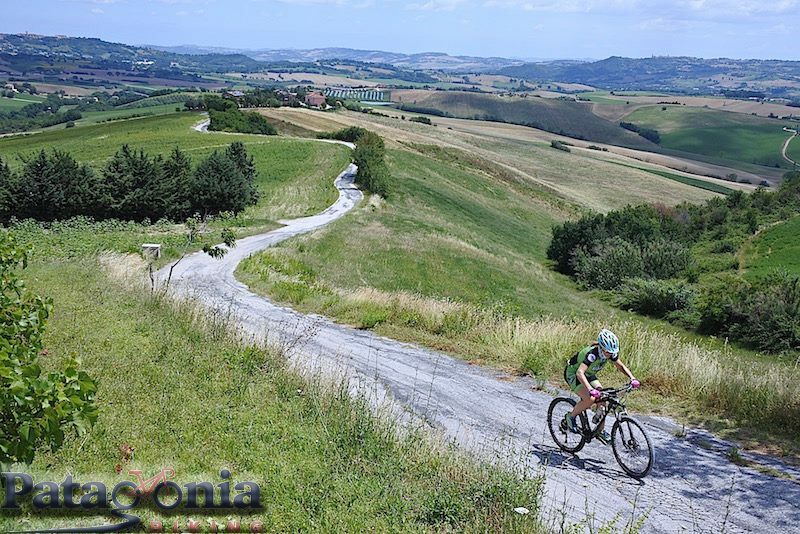 We start with 10 km of ascent (soft) and descend to Lake di Corbara, then ascend to Orvietto. Pedaling: 40 km. Level difference: +800. 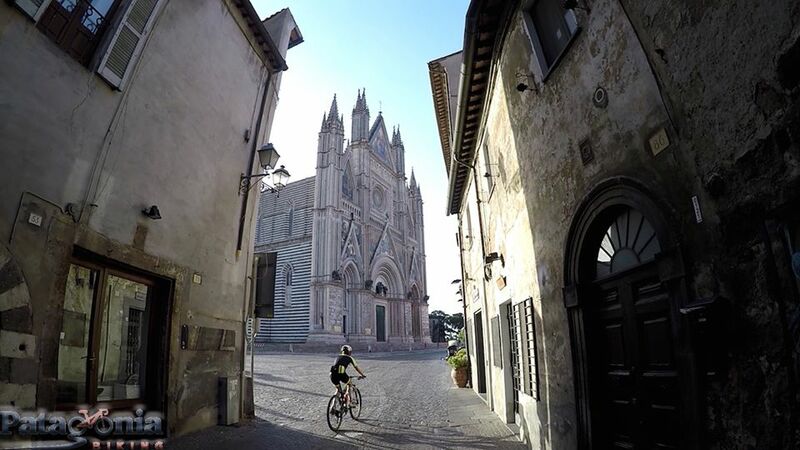 Accommodation: Hotel in the center of Orvietto. 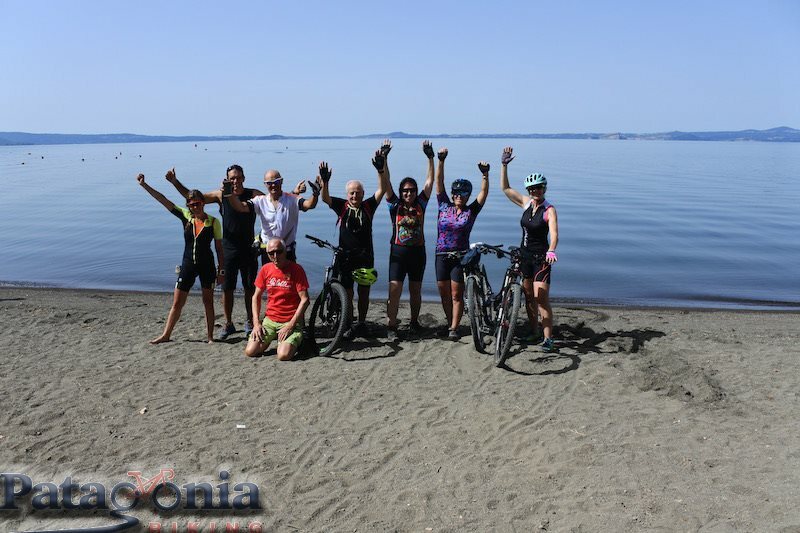 8th day – Sorano: We will ascend for 12 km, stretches along paths, until we reach a panoramic point with Lake Bolsena (the largest volcanic lake in Europe). 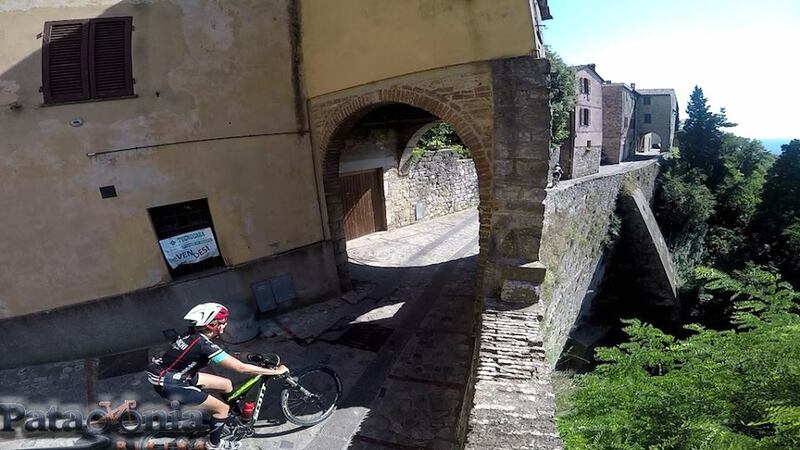 After a short descent, the path continues through hills, passing through interesting villages and ancient monuments of Etruscan origin. 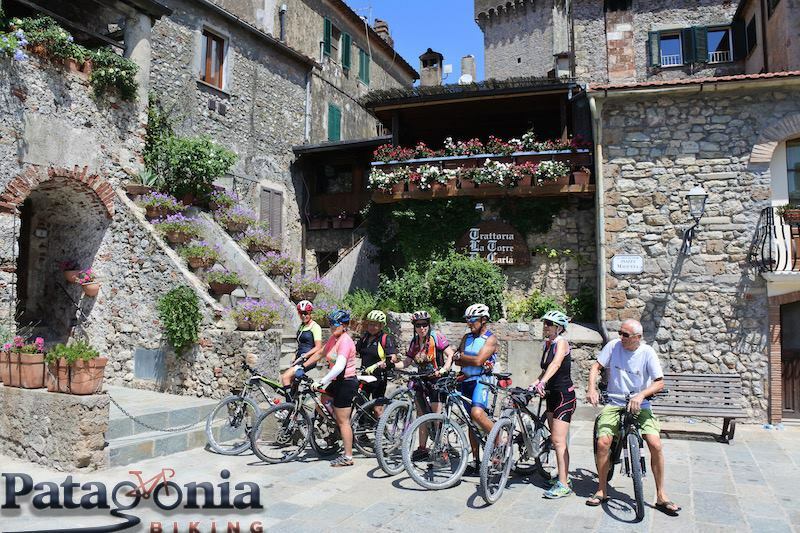 Places: Bolsena, Grotte di Castro, Onano, Vitozza. Pedaling: 58 km. Level difference: +1150. 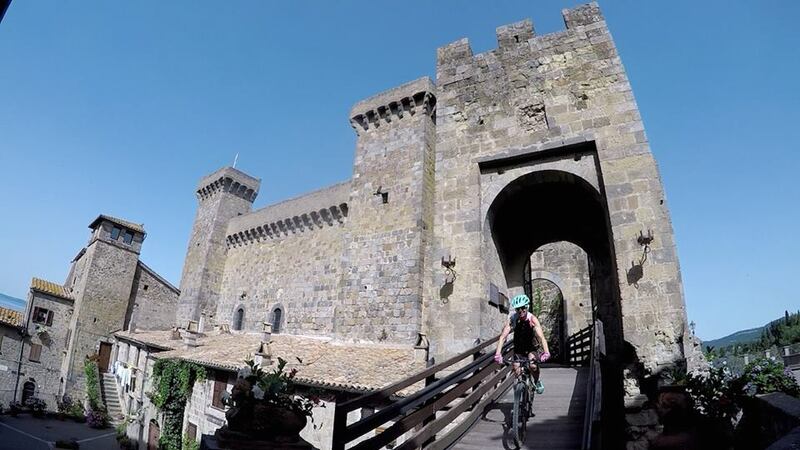 We will go through interesting medieval towns of Etruscan origin and we will appreciate the interesting architecture of the constructions inside and outside the tufts. 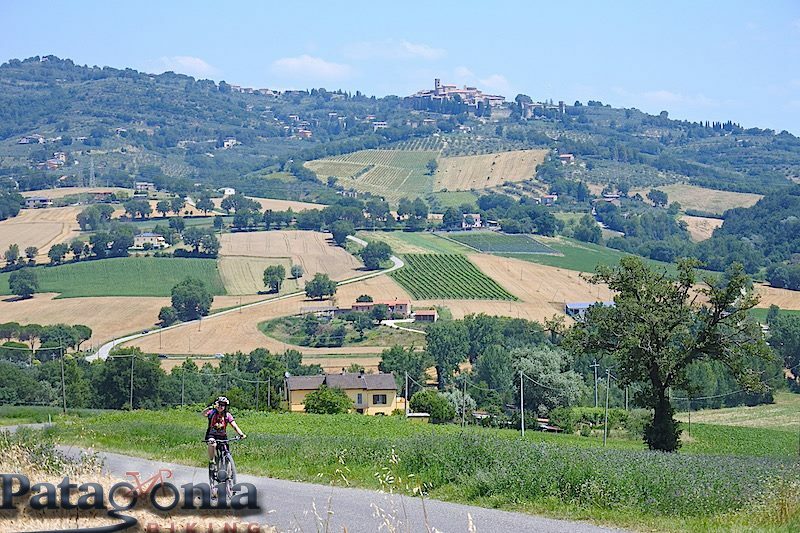 Sections of land, trails, hills and vineyards. 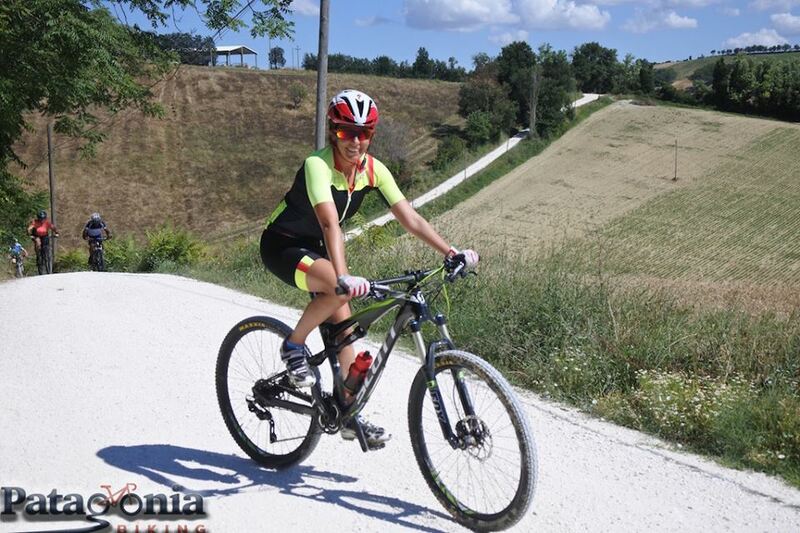 Pedalinng: 43 km. Level difference: +950. 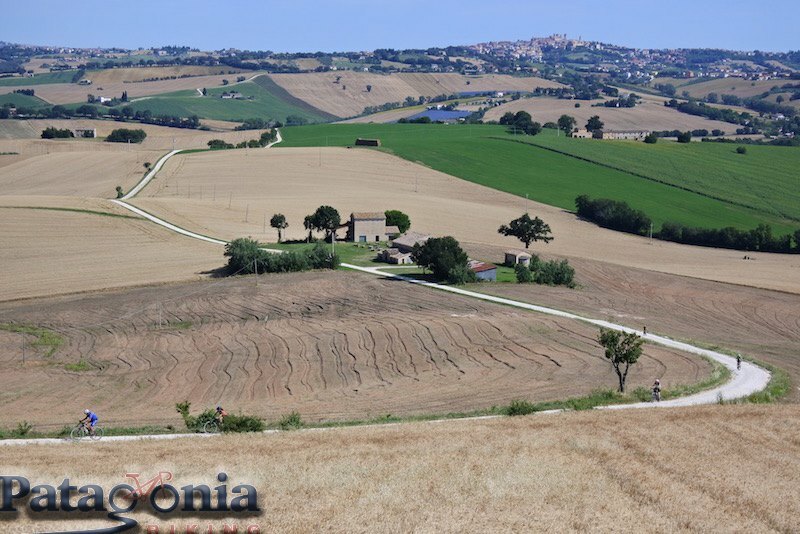 We will descend to the Maremma, passing as always, for interesting historical relics. 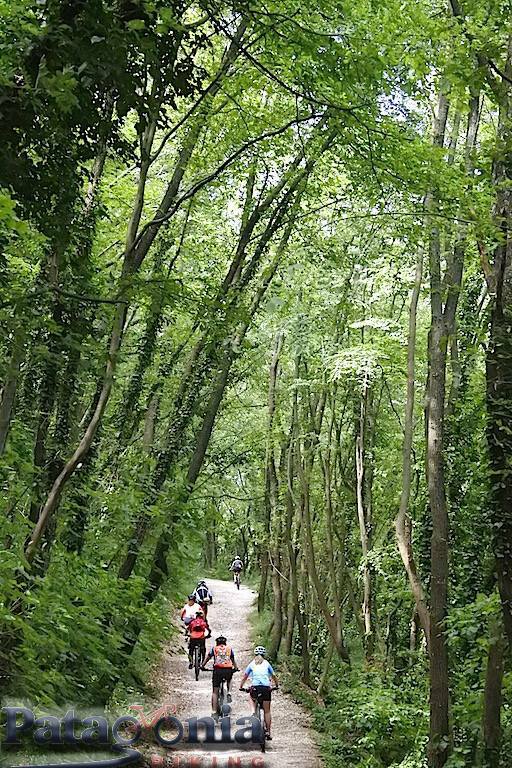 We will find the Tyrrhenian Sea and after crossing a path with forests and pine trees, we will find Monte Argentario. 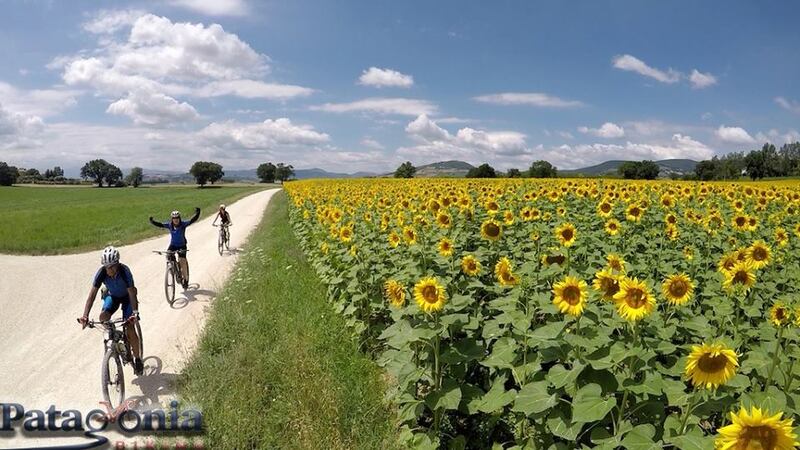 Cycling along the lagoons and the sea, until reaching Orbetello. End of our fantastic journey, coast to coast! Pedaling: 55 km. Level difference: +550. Accommodation: Hotel on the beach of Gianella. Portonovo, Assisi, Todi, Nocera Umbra, Orvieto, Sorana, Sovana, Pitigliano, Orbetello. You can use a bicycle mtb or also a hybrid. Rent of the bicycle: 250 EUR.